(Nick Wagner | The Austin American-Statesman via The Associated Press) An FBI agent works in front of the First Baptist Church on Monday, Nov. 6, 2017, where a gunman opened fire on a Sunday service in Sutherland Springs, Texas. Nov. 5, 2017: Dressed in black tactical-style gear and armed with an assault weapon, 21-year-old Devin Kelley opened fire at the First Baptist Church of Sutherland Springs, Texas, killing 26 people and wounding about 20 others. 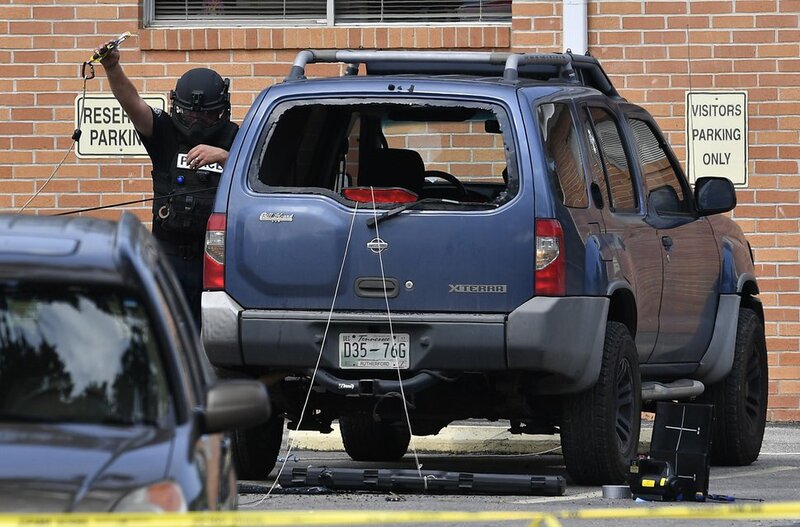 Sept 24, 2017: Emanuel Kidega Samson, 25, was charged with killing a woman and wounding six other people with gunshots at Burnette Chapel Church of Christ in Nashville, Tennessee. (Seth Wenig | The Associated Press) Saif Akonjee, son of Imam Maulana Alauddin Akonjee, center, Mashuk Uddin, brother of Thara Uddin, right, and other members of the community are surrounded by reporters as they arrives to a Queens courthouse in New York, Tuesday, Aug. 16, 2016. Oscar Morel suspected of gunning down the imam and his friend as they left a New York City mosque was arrested and charged with murder late Monday night, said police, who have not yet released a motive for the shooting deaths. 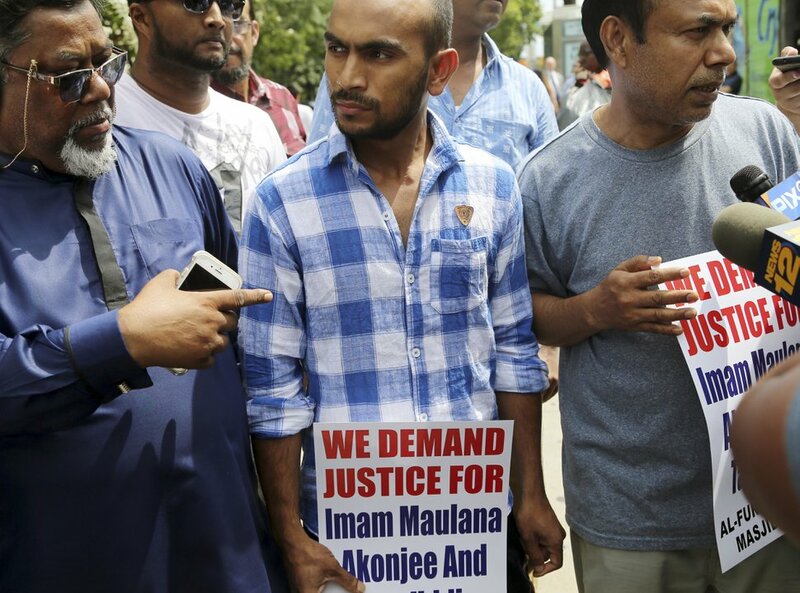 Aug. 13, 2016: Imam Maulana Alauddin Akonjee and his friend Thara Uddin were fatally shot as they left a New York City mosque. Oscar Morel, 35, was charged with second-degree murder. Aug. 9, 2016: A shooting during a party at a Jersey City, New Jersey, church left 17-year-old Leander Williams dead and two teenage girls wounded. Daequan Jackson, 18, was charged with murder. April 24, 2016: Mark Storms fatally shot 27-year-old Robert Braxton III during Sunday services in a suburban Philadelphia church. Storms, 46, argued self-defense, but was sentenced to 10 to 20 years in prison for voluntary manslaughter. 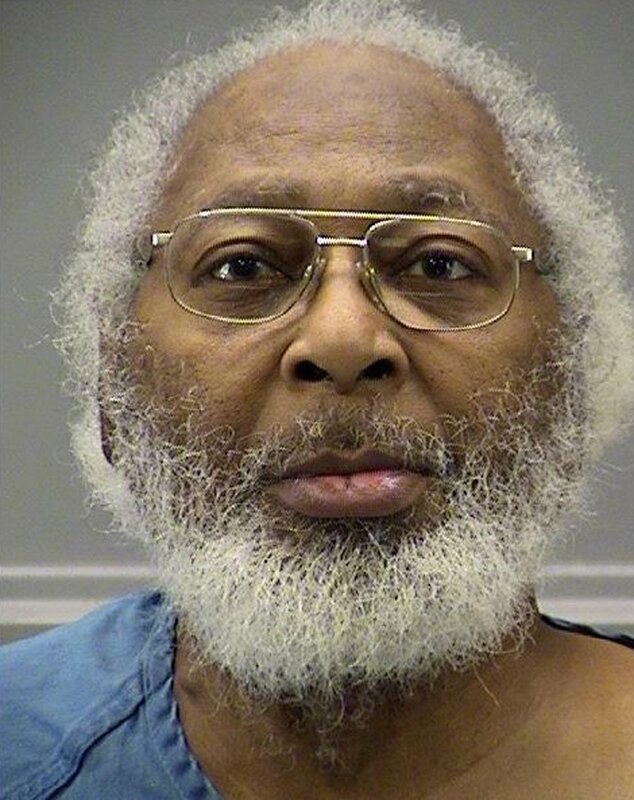 (Montgomery County Jail | Via The Associated Press) This photo provided by the Montgomery County Jail shows Daniel Gregory Schooler in Dayton, Ohio. Dayton police say the Rev. William B. Schooler was shot around 12:30 p.m. Sunday, Feb. 28, 2016, by his brother Daniel while in his office at St. Peter's Missionary Baptist Church in Dayton. Feb. 28, 2016: Rev. William B. Schooler, 70, was fatally shot by his 68-year-old brother inside an office at St. Peter’s Missionary Baptist Church in Dayton, Ohio, as Sunday services were winding down. Daniel Schooler was found guilty of murder and sentenced to 31 years to life in prison. 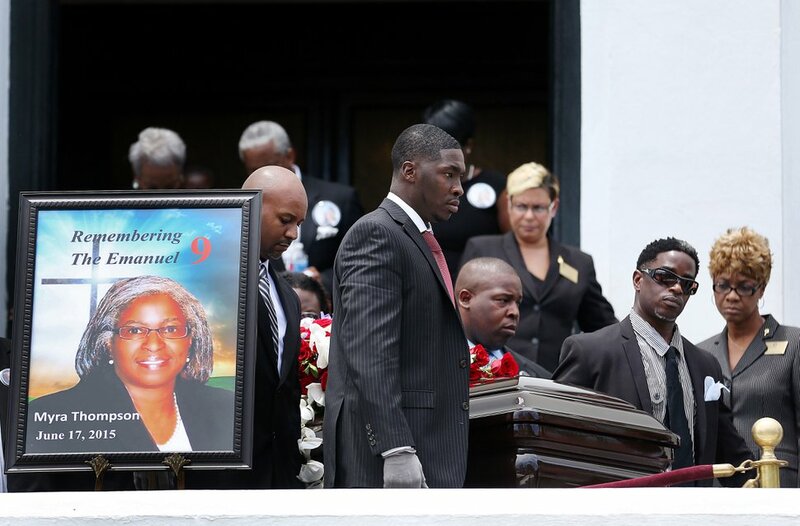 June 17, 2015: Nine black worshippers including a pastor were killed by Dylann Roof, a 21-year-old white supremacist, after he prayed with them for nearly an hour. The shooting happened at historic Emanuel African Methodist Episcopal Church in downtown Charleston, South Carolina. Roof was convicted of federal hate-crime and obstruction-of-religion charges and sentenced to death. 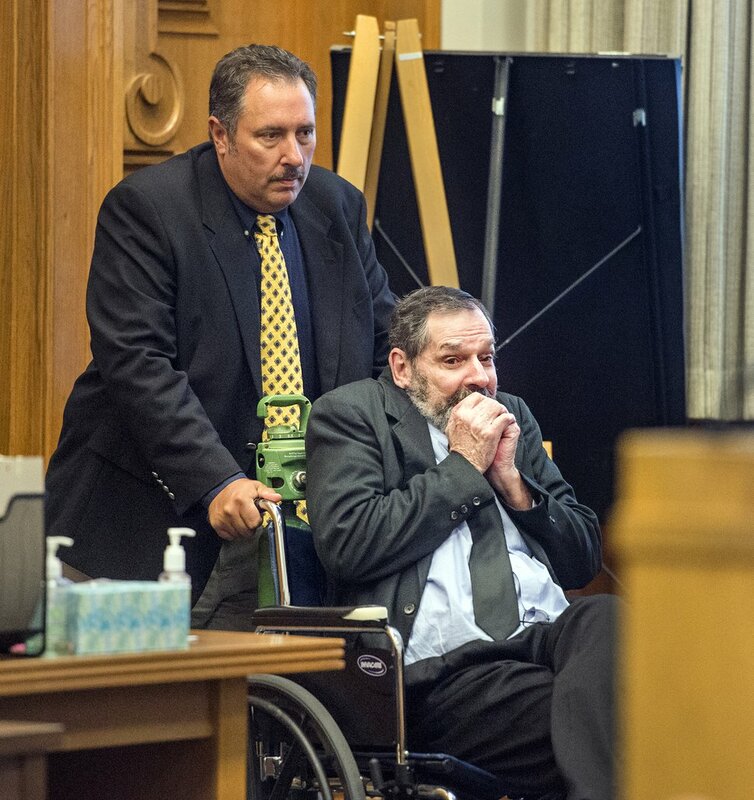 April 13, 2014: Neo-Nazi and former Ku Klux Klan leader Frazier Miller Jr. fatally shot Dr. William Corporon and his 14-year-old grandson Reat Underwood outside an Overland Park, Kansas, Jewish center as they arrived for a community event. He then drove to a Jewish retirement community where he fatally shot Terry LaManno, who was visiting her mother. 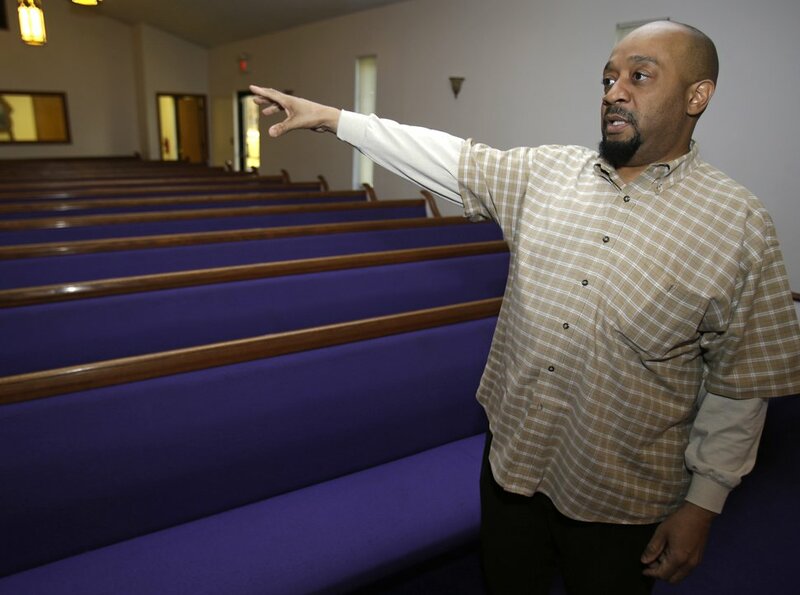 (Tony Dejak | The Associated Press) Associate Pastor Rev. Steve Sargent talks about the Sunday shooting that occurred at the Hiawatha Church of God in Christ Monday, April 1, 2013, in Ashtabula, Ohio. Police say Reshad Riddle killed his father, Richard Riddle, with a single shot from a handgun Sunday afternoon. March 31, 2013: A 28-year-old man fatally shot his father during Easter services at the Hiawatha Church of God in Christ in Ashtabula, Ohio. Reshad Riddle then made a rambling statement at the pulpit while yelling about God and Allah, still holding his handgun as panicked worshippers fled the church. Dec. 2, 2012: Elementary school music teacher Gregory Eldred, 52, shot his ex-wife, Darlene Sitler, while she played the organ during a church service at the First United Presbyterian Church in Coudersport, Pennsylvania. 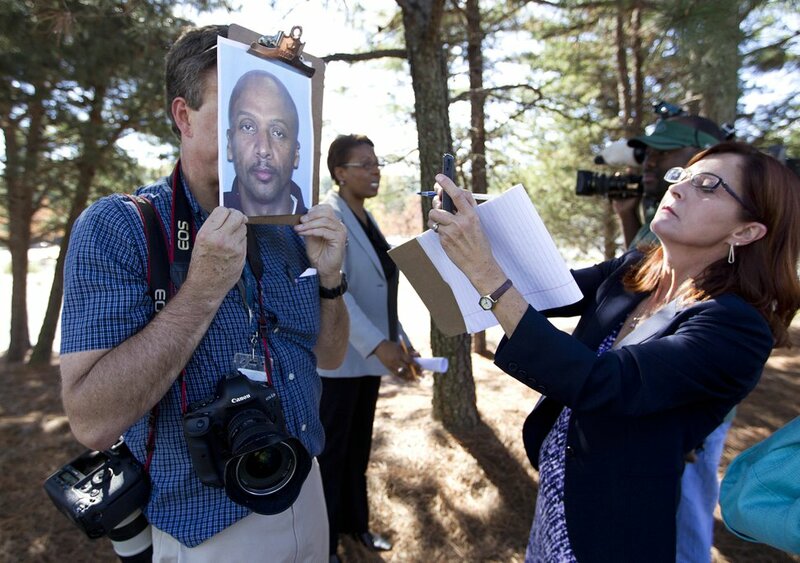 (John Bazemore | The Associated Press) Members of the media copy a police photo of shooting suspect Floyd Palmer outside the World Changers International church in College Park, Ga., after a fatal shooting inside Wednesday, Oct. 24, 2012. Police say a volunteer leading a prayer service was shot and killed by a former church employee. Oct. 24, 2012: A former facilities maintenance employee at World Changers Church International in College Park, Georgia, opened fire, killing church volunteer Greg McDowell, 39, while he was leading a prayer. Police arrested Floyd Palmer, 51, who was found guilty but mentally ill and sentenced to life in prison. 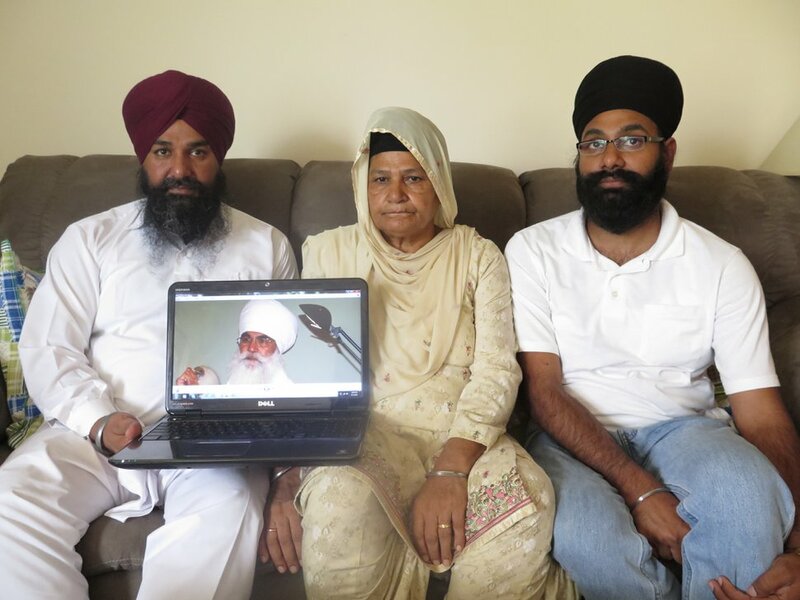 (Dinesh Ramde | The Associated Press) Raghuvinder Singh, left, and Jaspreet Singh, right, pose with their mother, Kulwant Kaur, and a photograph of their father, Punjab Singh, on Friday, Aug. 1, 2014, at Jaspreet Singhs home in Oak Creek, Wisconsin. Punjab Singh was severely wounded in a mass shooting at his Sikh temple in 2012, and his family says his lifelong teachings of optimism and hope have sustained them through his long, slow recovery. Aug. 5, 2012: Six members of the Sikh Temple of Wisconsin, in Oak Creek, were fatally shot by a white supremacist, Wade Michael Page. Page was shot by a responding officer and later killed himself. May 9, 2012: Joseph Lewis Jr., 84, was fatally shot while sitting in a car guarding Victory Way Assembly Church of God in Christ in Detroit, Michigan. Two teenagers, 15-year-old Anthony Williams and 18-year-old Alandre Boone, attacked him while a Bible study took place inside. Police suspected robbery was the motive. Both teenagers were tried and convicted as adults for second-degree murder. May 3, 2012: A homeless man killed himself after fatally shooting a priest and a church secretary at St. Peter’s Episcopal Church in Ellicott City, Maryland. Police said Douglas Franklin Jones had been turned away from the church food bank about two weeks earlier for visiting every day instead of weekly.